Upon arrival in Gangtok you will be received by our office executive and drive to Lachen in an executive vehicle by surface. On the way do not miss seven sister waterfall and Singhik view point. Lunch will be offered at a local restaurant on the way. Reach Lachen by afternoon and check-in at the hotel and enjoy overnight stay in Lachen. After breakfast get ready for the morning drive towards legendary Gurudongmar Lake said to be most sacred lake in North Sikkim. Indian National can only visit this lake for security reasons. 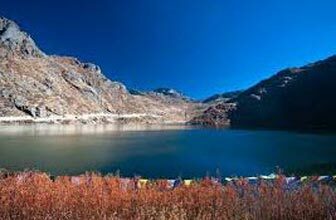 The lake is one of the highest situated lakes in North Sikkim. Please note that the altitude may here cause breathing problem, take it easy and do not exert. After paying visit to lake come back to the hotel, take refreshment and leave for Lachung. Overnight stay at Lachung hotel. Early morning drive to Yumthang Valley (Alt 11,800 ft), 24kms an Alpine flower valley in North Sikkim. 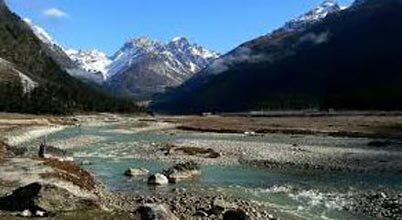 Enjoy the scenic landscape and hot spring and drive back to Lachung for Lunch. Optional tour to Yumesamdong Valley or Zero Point close to Tibet Border (Alt 15,000 ft, 23 kms from Yumthang) for Indian tourists only (at extra cost and prior notice). After lunch back to Gangtok.